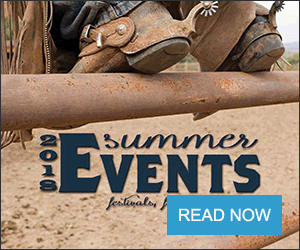 House Agriculture Committee Chairman Michael Conaway, R-Texas, said he hopes to get a count this week on how many Republicans will vote for the farm bill, and vigorously defended the sugar program. 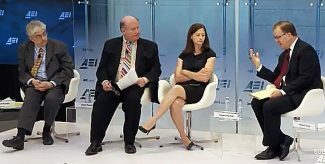 In a session at the American Enterprise Institute on the bill's proposal to impose work requirements and make other changes to the Supplemental Nutrition Assistance Program, Conaway said he plans to hold at least two meetings with Republican members this week and then begin the whip count process. Conaway needs to get at least 215 Republicans to vote for the bill because Democrats have said no members will support it due to the SNAP changes, which they have said will take food purchasing power away from hungry people. Democrats have also said the bill's proposal to give some SNAP money to the states to help people get jobs does not provide enough money for that program to be effective. Conaway also said he does not believe the bill would discourage marriage, a point that some conservative critics have made because it requires both parents with children over 6 to work in order to get benefits. 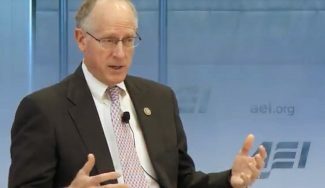 In answer to a question about why the bill does not make any changes to the sugar program, Conaway likened it to protecting the steel industry. 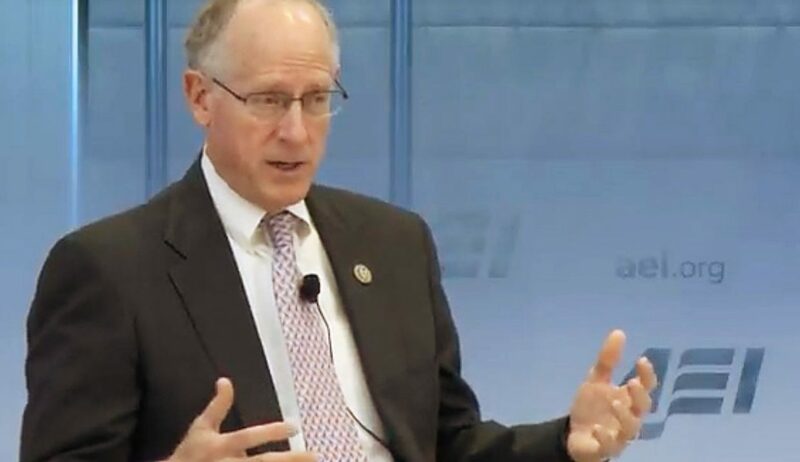 The United States wouldn't allow countries such as Turkey "to dump steel into our country below cost" so why should the United States allow countries to end subsidized sugar to this country?, Conaway asked. Conaway said sugar is "a product grown by Americans" who are fighting against unfair foreign competition. He also said that the sugar program does not skew the retail price of sugar or cause the loss of tens of thousands of jobs, as critics have said. 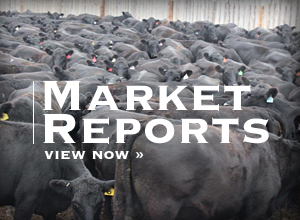 Critics say the sugar program, through its floor price and import restrictions, results in higher sugar prices in the United States and reduces employment in industries making sugar-containing products. 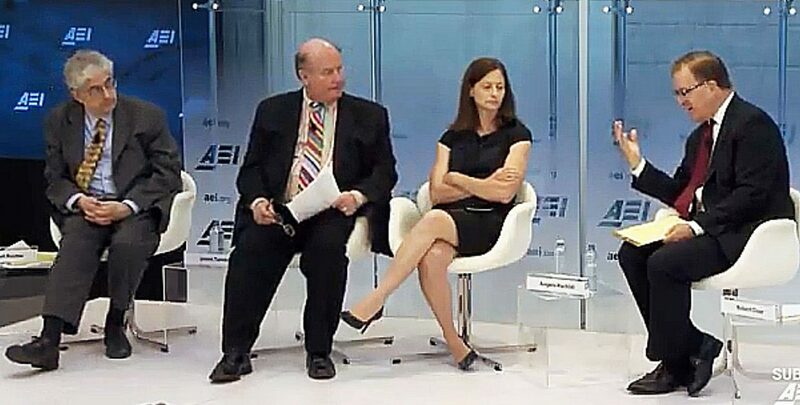 During a panel discussion after Conaway left, Robert Doar and Angela Rachidi of the American Enterprise Institute, Robert Rector of the Heritage Foundation and Jason Turner of the Secretaries' Innovation Group all said the nutrition title would make improvements to the SNAP program, but said they were not totally satisfied with it. Turner, who represents conservative state officials who implement social programs, said the bill "restricts" the number of people required to work because people with children under the age of 6 are not required to work, and said that age limit on the children should be reduced to 3. Rector said it appears Conaway does not understand that the provision requiring both parents of children over 6 to work can cause a real loss of benefits and discourage marriage, which would improve a low-income family's economic status. Rachidi said she hopes the states are given as much flexibility as possible in implementing the work programs. Although there are reports that as many as 10 million SNAP beneficiaries who could work do not work, Rector said there are so many exemptions the bill would force only 2 million to work. Doar also said that the number of beneficiaries will not go down that much because there has been such an effort in recent years to convince eligible elderly people to apply for SNAP benefits. Doar and Rachidi also said they wish the bill would ban the use of SNAP benefits to purchase sugar-sweetened drinks.